Themba Dlamini, one of the great success stories to emerge out of CAST’s business development programme, has taken his car-wash business to the next level. 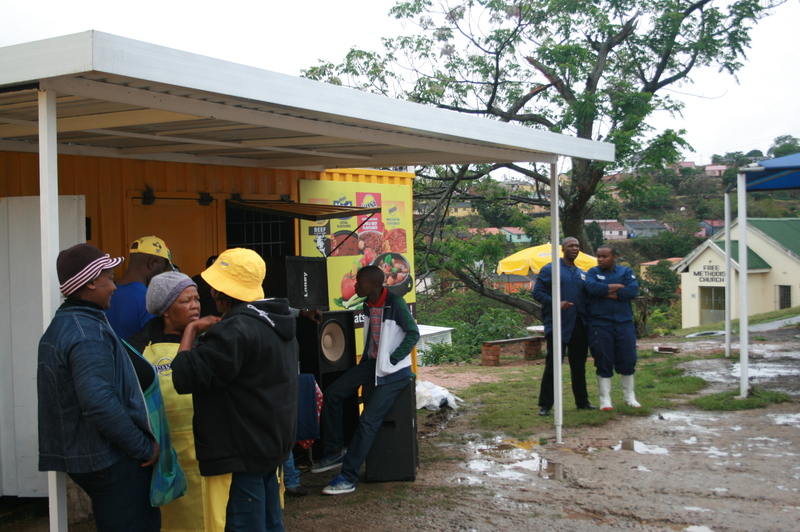 With dreams of expansion, Themba set out with a mission to purchase a container for his business. 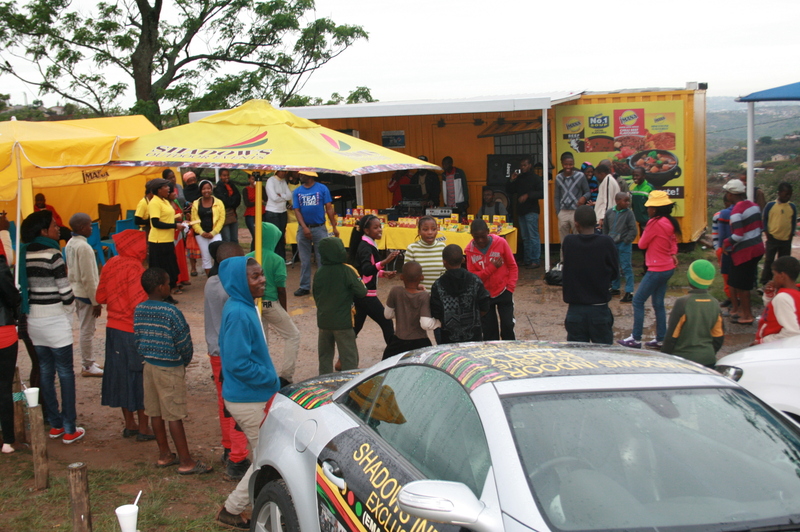 This would allow him to have a spaza shop running alongside his carwash so that while customers were waiting, they could hang out, purchase food and drinks and socialise with one another. 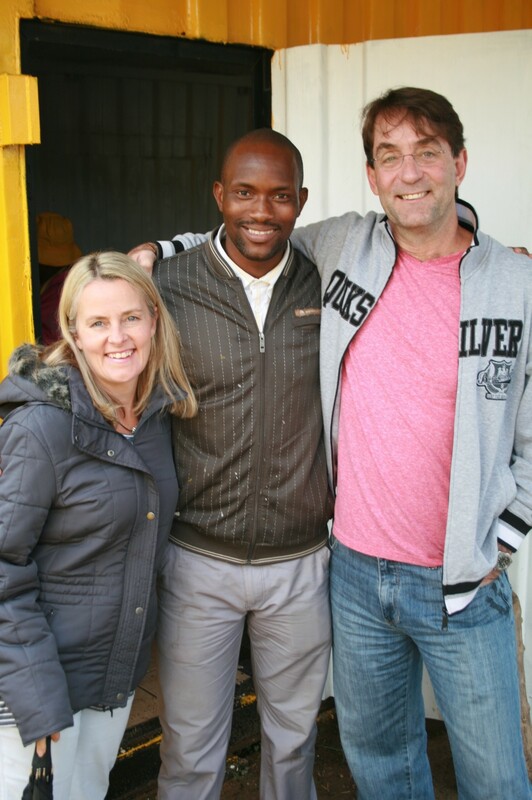 Last weekend, the passionate entrepreneur held an Open Day to celebrate the new development in his business. 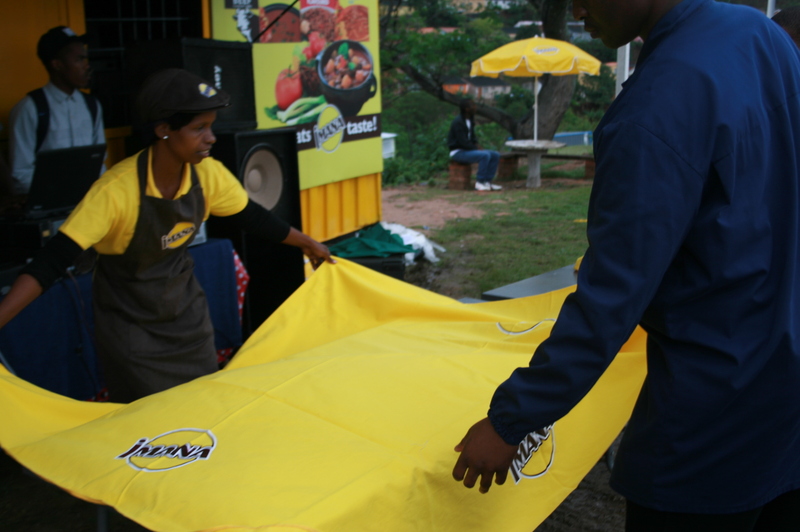 Denis de Chalain, who is a business mentor to Themba, works for the Imana Foods Group and organised for them to run an Imana promotion in conjunction with the Open Day. They required a core group of people to cook their food samples on the day and this was done by several of CAST’s Business Forum volunteers. 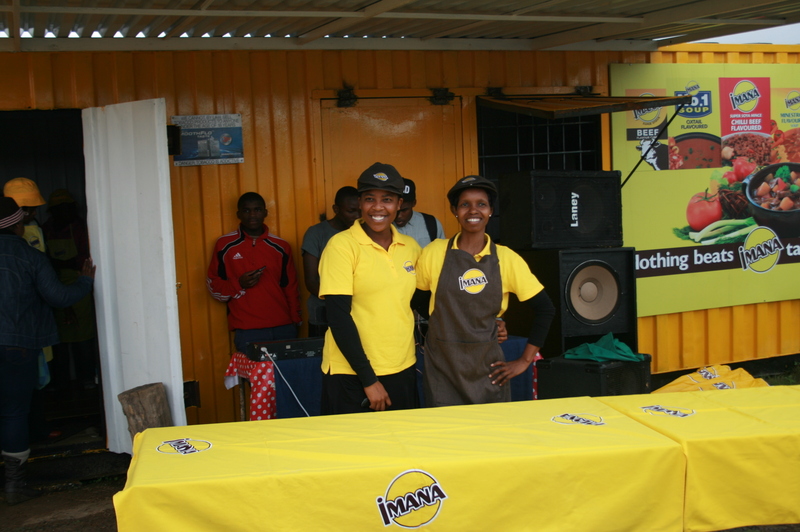 This partnership helped contribute to the days success and drew in bigger crowds who were curious to see what the hype was about ( and wanted to get some free Imana promotional products). 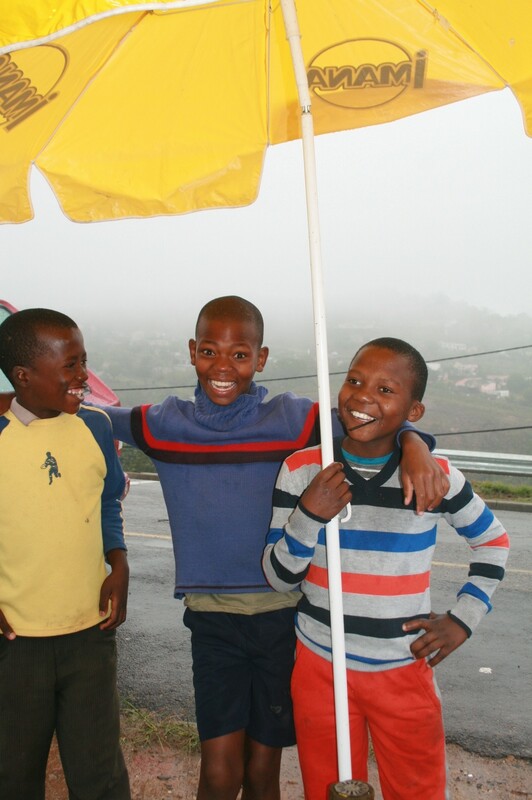 Despite the rainy weather, a significant amount of people turned up to support KwaDabeka’s favourite businessman and the atmosphere was full of celebratory joy for Themba. The next step is to develop his Car Wash business further by adding a “shisanyama”, or a braai area to the mix. He is looking forward to future events where other companies will be partnering with him to market his business as well as their brands, so watch this space. 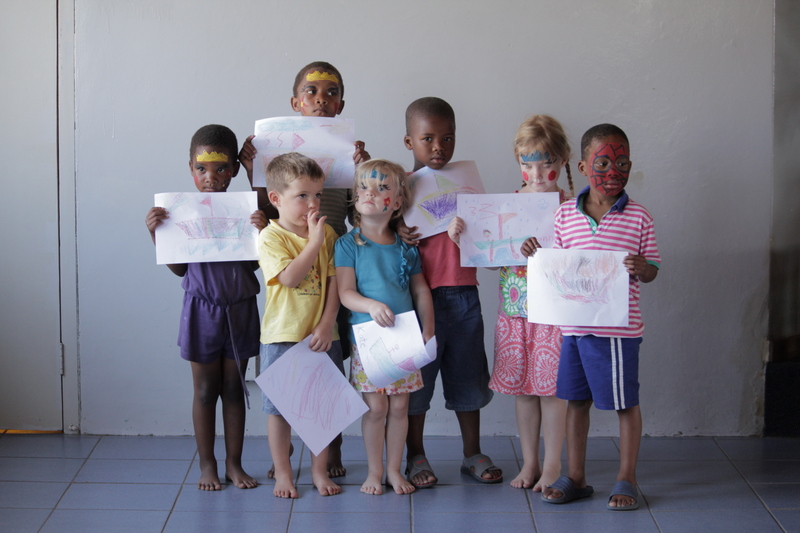 On Tuesday, the 24th September, 100 members of Westville Baptist Church along with 120 members of the Kwadabeka community, came together in a beautiful portrayal of Heritage Day. An initiative powered by CAST- a social outreach non-profit- and Westville Baptist, “Brighten up Kwadabeka” was a day aimed at painting, fixing, cleaning and repairing Sithokozile Secondary School, handing out food parcels and making home visits to the food parcel recipients of the community, and running a children’s programme for the young ones at Kwadabeka Baptist Church. 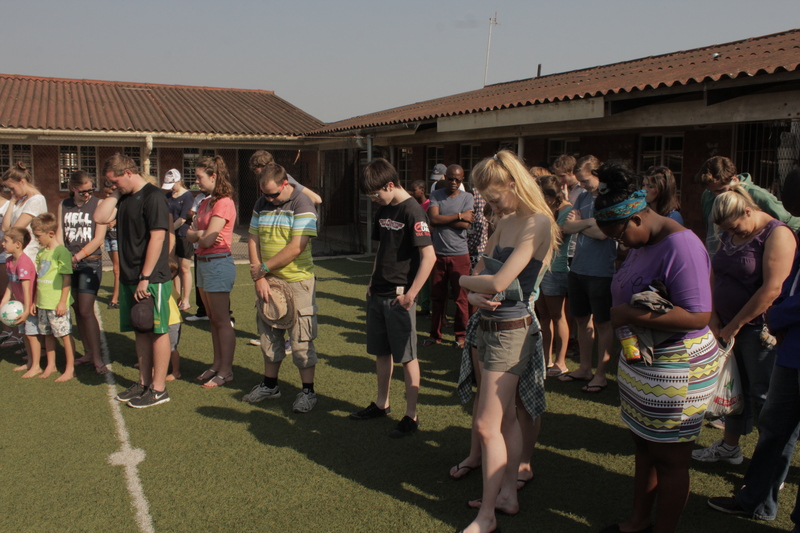 The day ran from 8am until 12pm and ended off with a massive community braai, in celebration of South Africa’s National Braai Day. 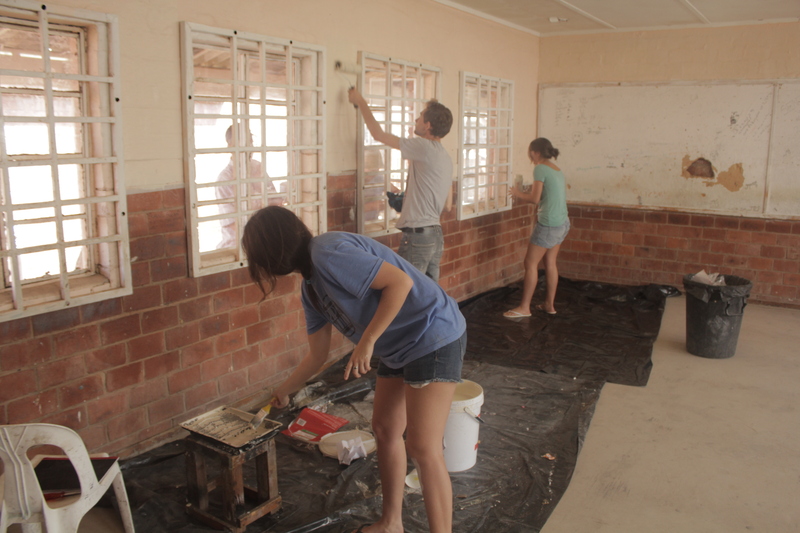 In every classroom, a group of people could be found hard at work, covered in paint, and out on the field there were people sanding down pillars, replacing gutters, hosing down the roof and cleaning up litter. The partnership with Sithokozile Secondary School and Westville Baptist began 1994 when the church opened a soup kitchen for needy pupils. Since then, Sithokozile became the first township school in KZN to receive a new soccer pitch, made from synthetic grass. This initiative, along with the opening of a counselling centre at the school, was organised by the Church Alliance for Social Transformation (CAST). The relationship between CAST and the Kwadabeka community has developed over the years and now includes an ongoing and effective food parcel programme, a sports programme and a business development forum. It was an honour and privilege to have had another opportunity to serve this community, and to see so many people of all colours and ages, come together.